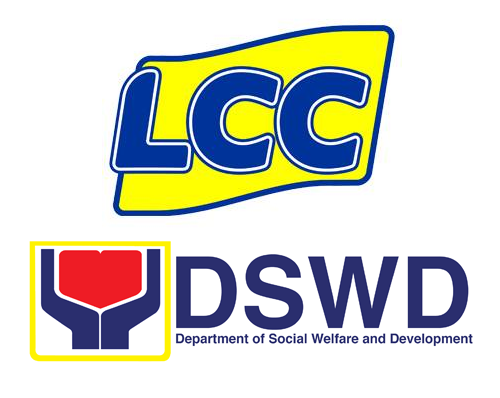 Liberty Commercial Center (LCC), the biggest chain of malls and stores in Bicol, has formalized the opening of its doors of employment to members of the indigent sector in the region, exclusively to those identified by the Department of Social Welfare and Development (DSWD) into the government’s Conditional Cash Transfer (CCT) program. This developed following the recent signing here of a Memorandum of Understanding (MOU) between the LCC management and the DSWD regional office that formalized the implementation of the Sustainable Livelihood Program (SLP) for the beneficiaries of the CCT or the Pantawid Pamilyang Pilipino Program (4Ps). “This is the first of its kind of undertaking in the country under the DSWD’s SLP that is designed for the improvement of socio-economic capacities of 4Ps beneficiaries by way of facilitating their access to micro-enterprise development and employment opportunities,” DSWD Regional Director Arnel Garcia, who signed the MOU in behalf of his office on Friday, said. Under the MOU, LCC will give priority in its training and hiring of employees starting this year to qualified 4Ps beneficiaries in the region while its subsidiary, Metro Fund Providers, Inc. (MFPI), will provide capital assistance to those who wish to engage in micro-enterprise of their own, Garcia said. MFPI is a micro-financing company recently established by the LCC to provide short-term capital loans to sari-sari stores, school canteens, cooperatives and food stall owners. DSWD, on the other hand, will take care of the validation of the eligibility of the 4Ps beneficiaries and identify communities fit for the modules and requirements of LCC and MFP. It will also conduct social preparation and team-building activities, generate micro-enterprise ideas with beneficiaries, provide technical assistance in the development and completion of business plan for beneficiaries aligned with market research findings and feasibility analysis, and conduct on-site periodic monitoring, among others. Also under the tie-up, LCC will furnish DSWD with updated list or details of employment vacancies and opportunities, conduct pre-employment assessment, prioritize in its hiring 4Ps beneficiaries and assist in the monitoring and evaluation of those hired. The MFP, meanwhile, has committed to conduct a credit risk assessment and provide amount to be loaned out to the beneficiaries, arrange and secure the transfer of its capital assistance to individual beneficiaries or community-based associations and explore the possibilities of providing wholesale loans to existing community-based associations. It will also introduce easy repayment schemes, train grantees based on company’s framework for entrepreneurs and assist beneficiaries in marketing their produce based on market industry and available resources. LCC chief operations officer Romeo Tan, in the Statement of Commitment, said the MOU is in line with the corporate social responsibility (CSR) programs of his firm. LCC operates 12 malls and 27 grocery stores all over Bicol and is currently building another giant shopping complex on a two-hectare lot at the heart of the commercial district here leased from the city government.